If your child's tooth has been knocked out of his mouth, find the tooth and rinse it with water (no soap), taking care to only touch the crown of the tooth (the part you can see when it's in place). If you can, place the tooth back in its socket and hold it in place with a clean towel or cloth. If you can't return the tooth to its socket, place it in a clean container with milk. In either case, call us immediately and/or go to the hospital. If you act quickly, it's possible to save a permanent, or adult tooth. Unfortunately, primary teeth are generally not re-implanted. 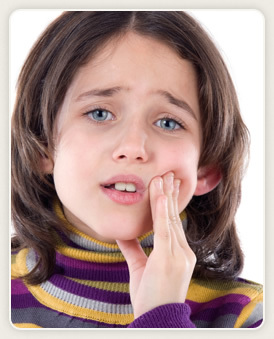 If one of your child's primary teeth has been knocked out, you will want to schedule a visit to our practice as soon as possible so that your dentist can ensure that there are no fragments of tooth remaining.